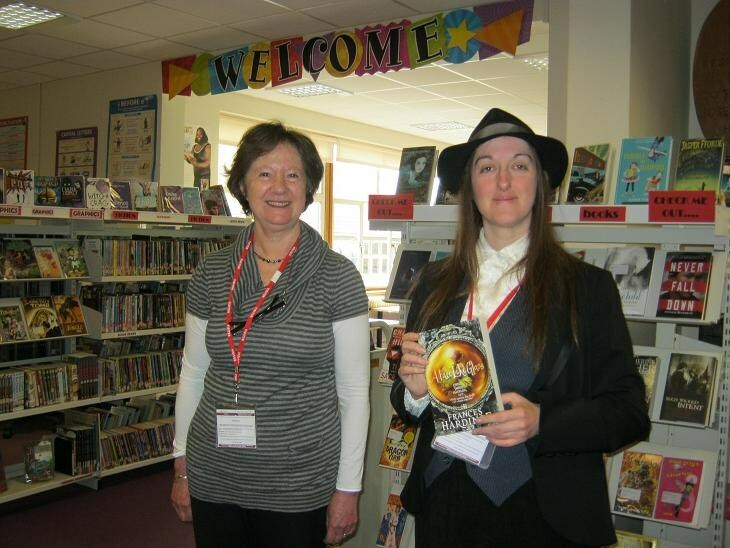 On Thursday 16th May, I visited Matthew Arnold School in Oxford, accompanied by Moira da Costa of the Oxford Children’s Book Group, who had kindly arranged the event. Over lunch, I chatted with half a dozen Year 10 students from the school’s very active book group. Most were keen and dedicated writers themselves, and had many good questions about publication, the craft of writing, motivation and how to form dislocated ideas into a coherent plot during the brainstorming stage. 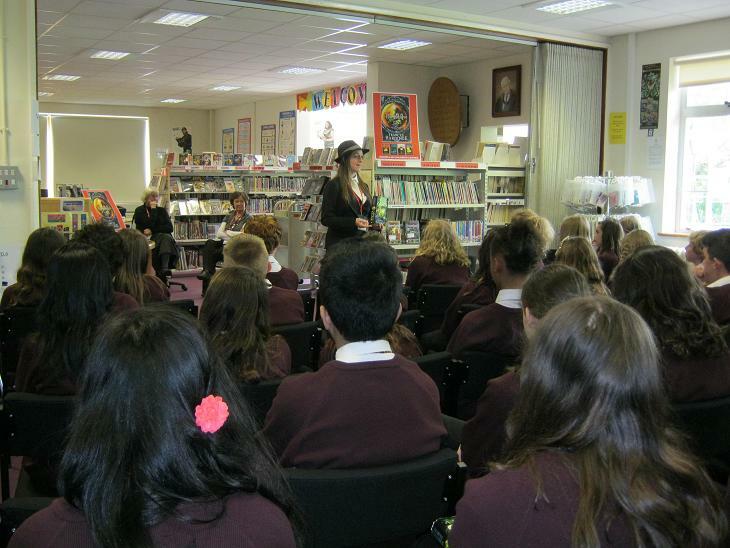 Afterwards, I talked to two different groups taken from Years 7 and 8 in the school’s spacious, comfortable library. Q: Is it scary to see a book you wrote in a shop? A: No – not for me, anyway. The other customers might be a bit unnerved to see me bouncing up and down with glee. Q: How does it feel when you’re writing?